The debut single available now as a free download. Brit metallers Rise To Remain, have announced their split, and from the ashes, have given birth to the brand new As Lions. 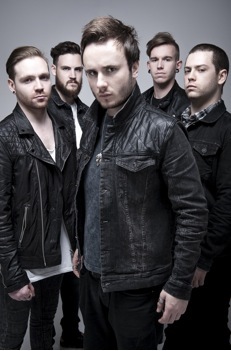 The 5-piece have unveiled their debut track ‘The Fall’, a ferocious, no-holds-barred blast of melodic metal. Available to download for free, ‘The Fall’ showcases the band’s heavy, crushing riffs, with lead singer Austin Dickinson’s lyrics tackling the theme of determination. With an EP due out in Spring, and a debut album to be released later this year, the UK has a new beast on its hands. As Lions have arrived. As Lions are Austin Dickinson (Vocals), Conor O’Keefe (Guitar), Will Homer (Guitar), Stefan Whiting (Bass) and Dave Fee (Drums).